At best I have hit 42 mflops in Linpack and 1350 in Quadrant. 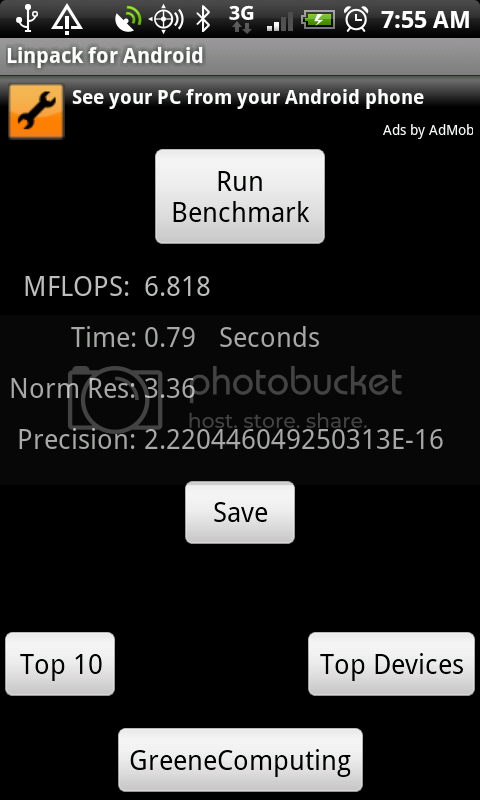 Usually average about 39 mflops and 1190 in Quadrant. Note that the newest Linpack drops all scores by about 7 mflops. With the "Second Wave" rom I usually get in the mid 1300's with quadrant. I've seen as low as high 1100's and as high as upper 1300's. 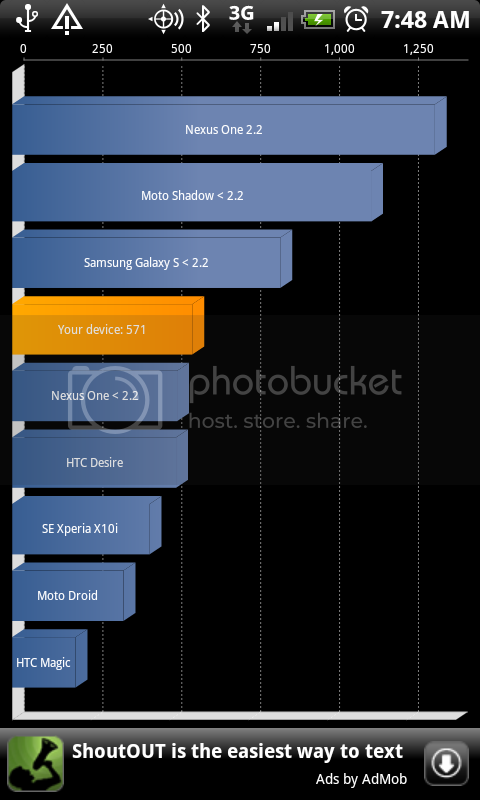 with a few over 1400 on the old stock 2.2 leak. I had the latest nightly CM6 on my phone yesterday. I was getting mid-high 1400's in quadrant, I think as high as a 1473. I'm not exactly sure which kernel CM6 uses though, it may still be the .29...CM6 is really cool, with a ton of options, like color calibration for the screen. But too many things don't work, so I went back to the "Second Wave" ROM. BTW, I usually run quadrant 3 times in a row, it tends to get a better average that way, the first time is usually pretty low. Not useful for comparisons, because of I wanted to test Sense vs say something like launcher pro, depending on which one I tested 2nd, it would look like one is better performing than the other. They actually perform the same from what I can tell. My score running Frankenrom_b2 with radio updated. This rom made by adrynalyne and I thank you. 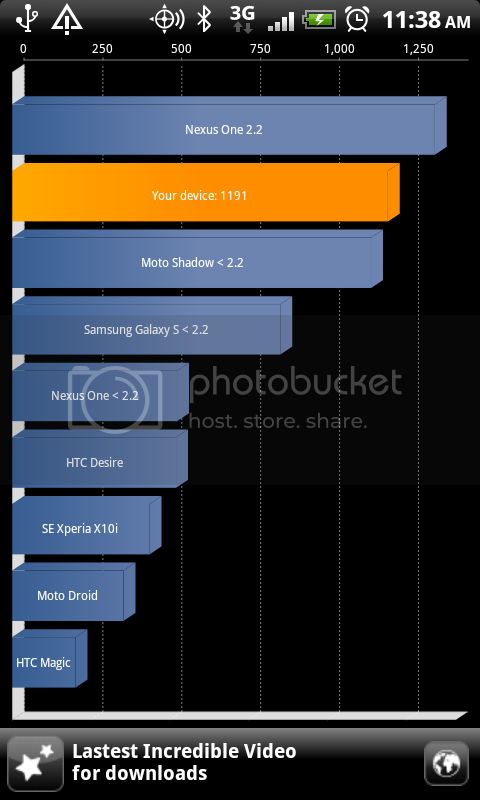 So is the first one the numbers from the stock 2.2 Rom & kernel that leaked? Also is there a difference in speed between the EVO Port & the Incredible leak? I have tried skyraider, evoport, leaked 2.2, and frankenrom based off of evoport and I got the highest score with frankenrom. The scores have been close though. You mean the Hydras? I got 1354 with the 1.15 overclock kernel. That slightly tops the N1. So you're clocking over the the 1.15 ?? I have Setcpu, how you guys are overclocking?